Any contact an individual has with the health care system must be optimized. Of the available diagnostic methods, evaluation of the optic disc is considered to be the most important parameter for detection of glaucoma. The optic disc can be assessed clinically with the use of disc photography and other imaging modalities. Off-site assessment of fundus photography has proven to be a successful model for detection of diabetic retinopathy in resource-poor settings with limited access to care. However, in a teleophthalmology model for detection of glaucoma, the accuracy of optic disc photography was only moderate.4 The use of deep learning techniques for automated optic disc classification could improve diagnostic accuracy.5 It could also reduce the dependence on a trained reader. However, this approach must be further tested and validated in larger populations. In various studies conducted in resource-poor areas, a large proportion of clinical images were ungradable due to the presence of media opacities. It is possible to improve the quality of these images by taking dilated optic disc photographs. Dilatation, however, presents the added risk of inducing iatrogenic primary acute angle closure in a population with high rates of angle-closure glaucoma. Therefore, any screening program in these regions should address both forms of the disease. Detection of primary angle-closure glaucoma is based on assessment of the anterior chamber angle, and gonioscopy is the reference standard for its evaluation. However, gonioscopy requires high skill and experience. Moreover, the amount of light falling on the pupil and the amount of indentation on the cornea can adversely affect the assessment of narrow angles. The Van Herick grading technique is a practical alternative to gonioscopy in a resource-poor setting. This method involves a slit-lamp based comparison of the peripheral anterior chamber depth and the thickness of the cornea, and it is a quick and simple procedure. A strategy of combining diagnostic tests could be a viable solution. The specificity and positive likelihood ratio of a combined Van Herick test and central anterior chamber depth measurement was 99.3% and 28.25%, respectively, with a positive predictive value of 86%.8 A combination testing strategy may work for the detection of open-angle glaucoma as well. For example, combining applanation tonometry (95% specificity)3 and optic disc photography (89% specificity)3 can yield a combined specificity of 99.5%. 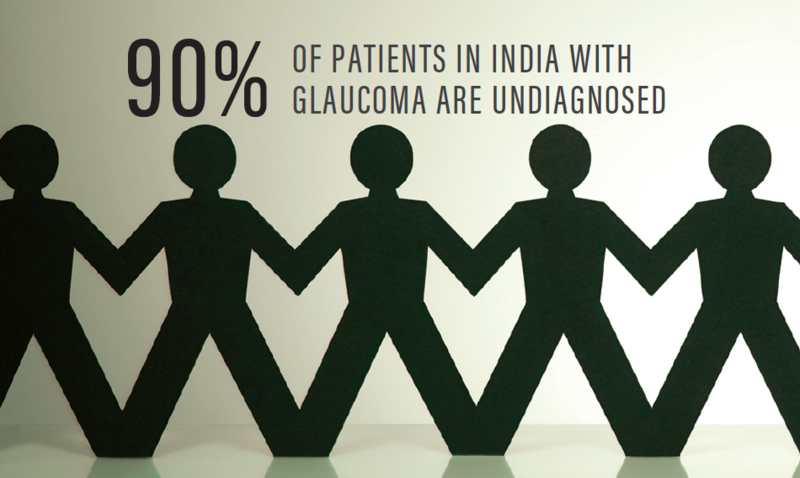 • In India, glaucoma remains largely undiagnosed, as a majority of the population lives in rural areas with poor access to health care and there is no single screening test to detect glaucoma. • With opportunitistic screening, every individual who seeks professional eye care undergoes a comprehensive eye examination that includes optic disc evaluation. In resource-poor settings, it is important that any contact an individual has with the health care system be optimized. This requires multiple strategies to be employed, including performing opportunistic screening, targeting high-risk groups, combining tests, and advancing technological innovation for disease-specific solutions. 2. George R, Ve RS, Vijaya L. Glaucoma in India: estimated burden of disease. J Glaucoma. 2010;19(6):391-397. 3. Mowatt G, Burr JM, Cook JA, et al; OAG Screening Project. Screening tests for detecting open-angle glaucoma: systematic review and meta-analysis. Invest Ophthalmol Vis Sci. 2008;49(12):5373-5385. 4. Gupta S, Sinha SK, Dagar AB. Evaluation of the effectiveness of diagnostic & management decision by teleophthalmology using indigenous equipment in comparison with in-clinic assessment of patients. Indian J Med Res. 2013;138:531-535. 5. Phene S, Dunn RC, Hammel N, et al. 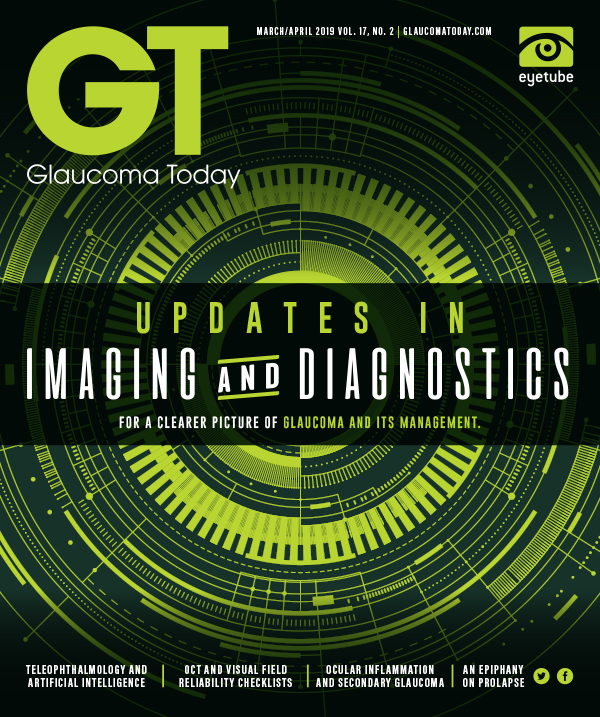 Deep learning to assess glaucoma risk and associated features in fundus images. 2018;arXiv:1812.08911v1. 6. Choudhari NS, Chanda S, Khanna R, Senthil S, Garudadri CS. Diagnostic accuracy of Van Herick technique to detect pre-disease states of primary angle-closure glaucoma in a resource constraint region. Ophthalmic Epidemiol. 2019;8:1-8. 7. Choudhari NS, Chandran PA, Rao HL, et al. LVPEI Glaucoma Epidemiology and Molecular Genetic Study: teleophthalmology screening for angle-closure disease in an underserved region. Manuscript submitted for publication. 8. Choudhari NS, George R, Asokan R, et al. Combination of simple diagnostic tests to detect primary angle-closure disease in a resource-constrained region. Manuscript submitted for publication. 9. Rajendrababu S, Gupta N, Vijayakumar B, Kumaragurupari R, Krishnadas SR. Screening first degree relatives of persons with primary open-angle glaucoma in India. J Curr Glaucoma Pract. 2015;8(3):107-112.